I go through white tops with such a fervor that it&apos;s simply ridiculous. Though they happen to be a critical component of my wardrobe, I refuse to wear them once they&apos;ve lost that crisp look and feel. Between underarm stains (due to deodorant), a baggy fit by the end of the day, and transparency issues, it&apos;s hard to find just the right white top. That&apos;s why I&apos;ve done my research and have come up with my favorite. option is clearly a necessity. 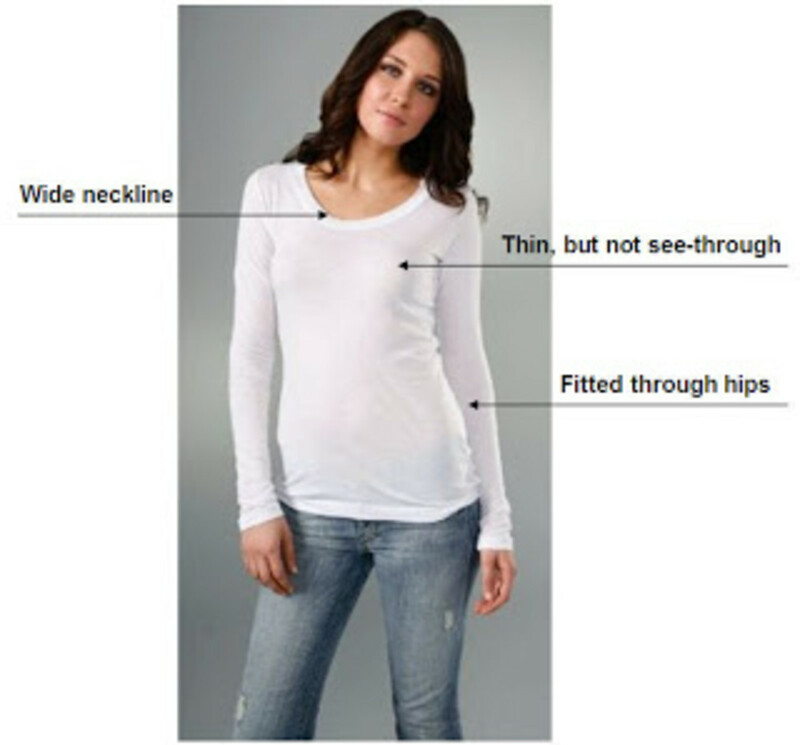 Since the brand runs big (and stretches out), be ready to buy one or two sizes smaller than normal. TIP: In order to remove underarm stains, soak in disolved powdered aspirin (5 tablets per liter of water) for 1-2 days.